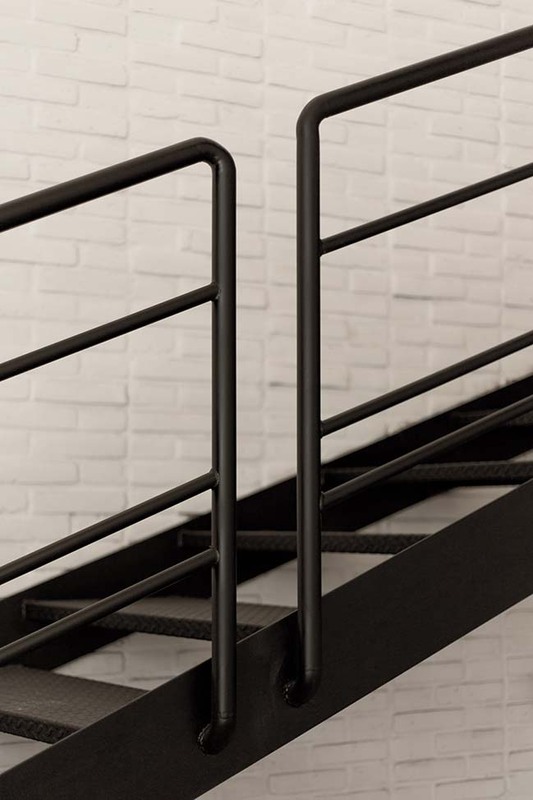 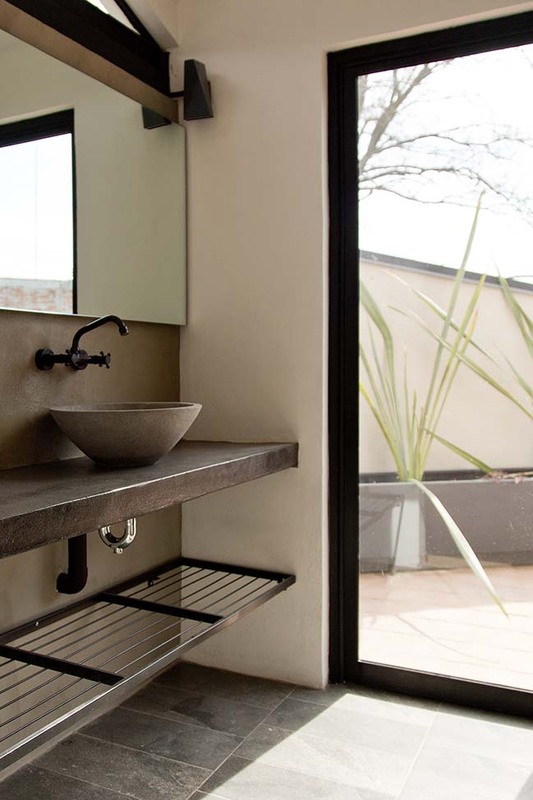 Designed from a high tech, local handmade perspective. 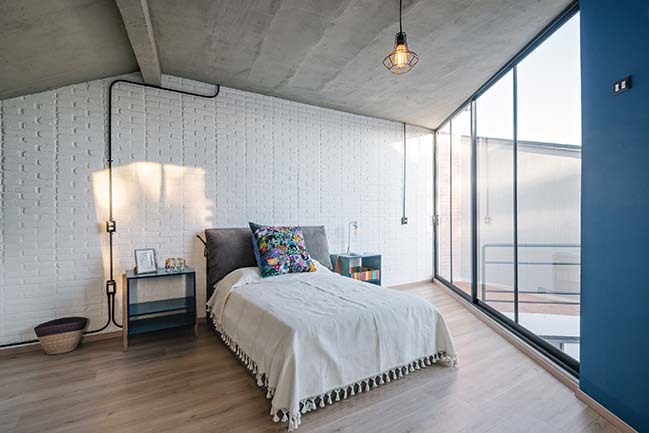 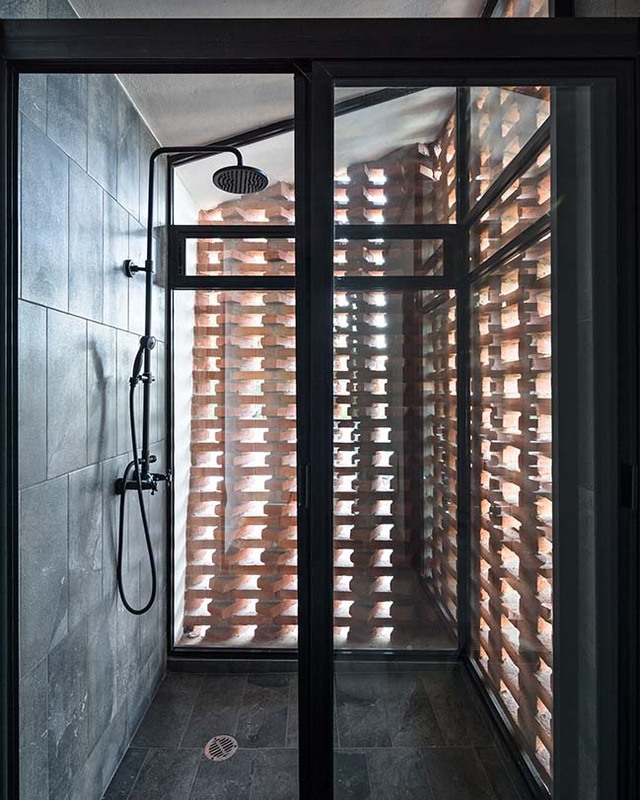 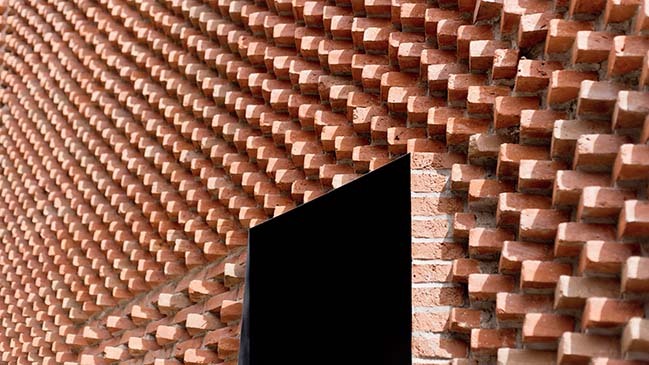 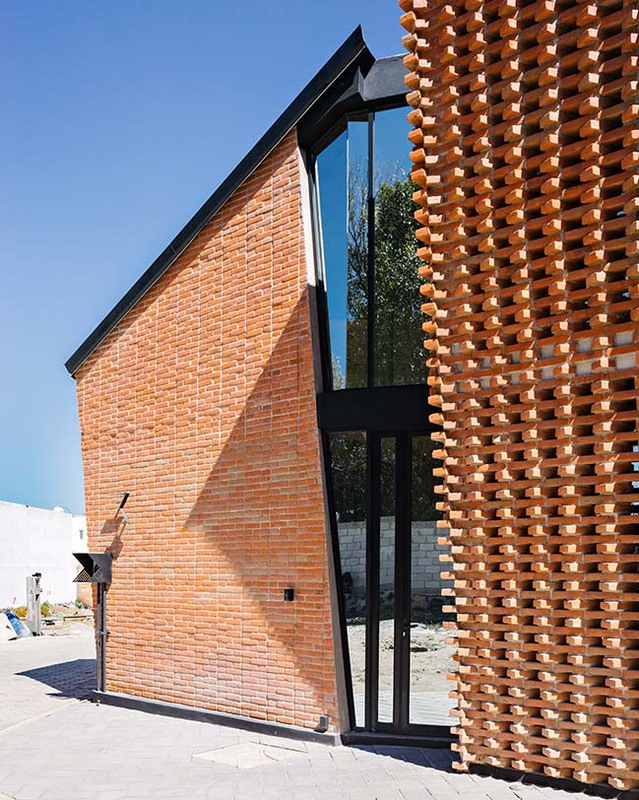 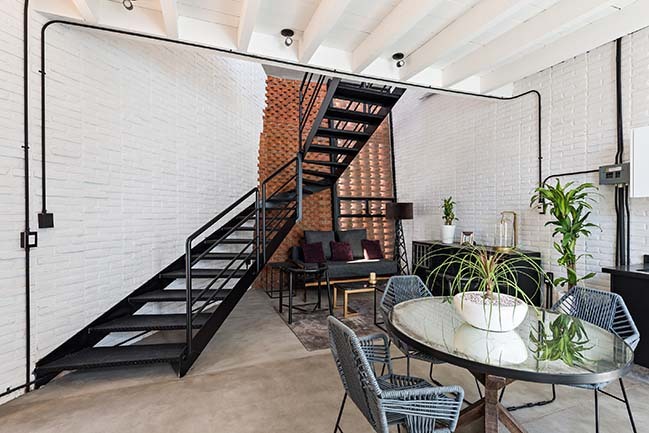 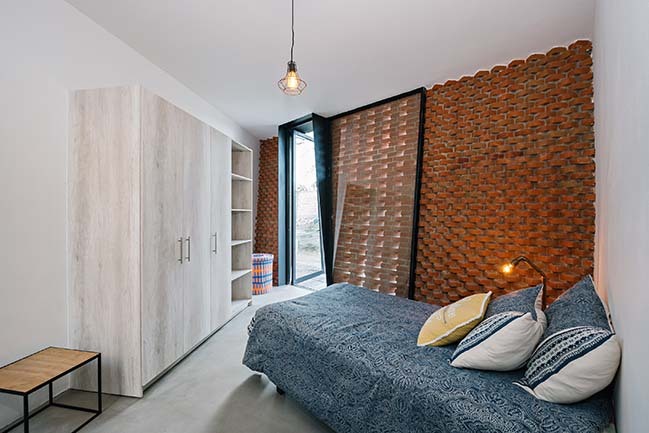 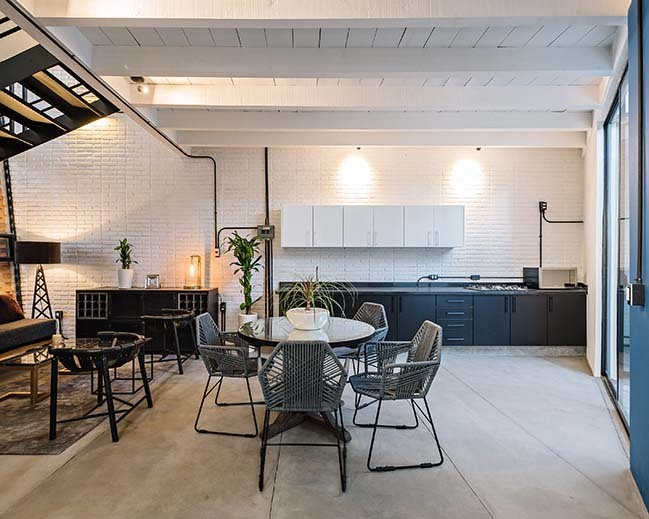 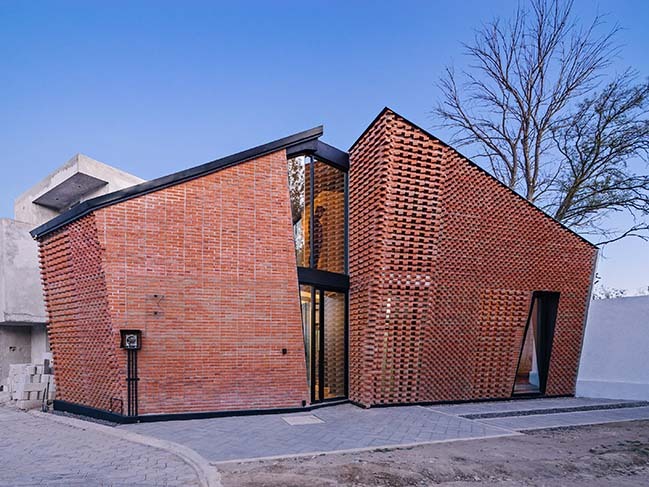 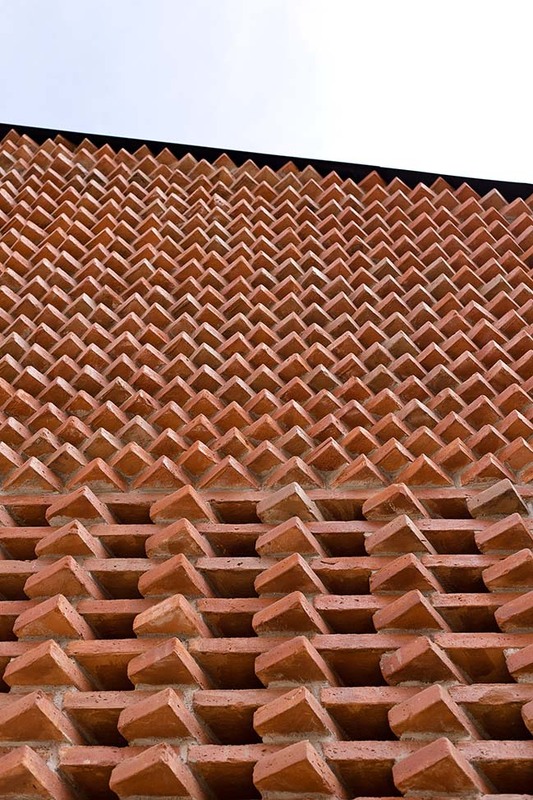 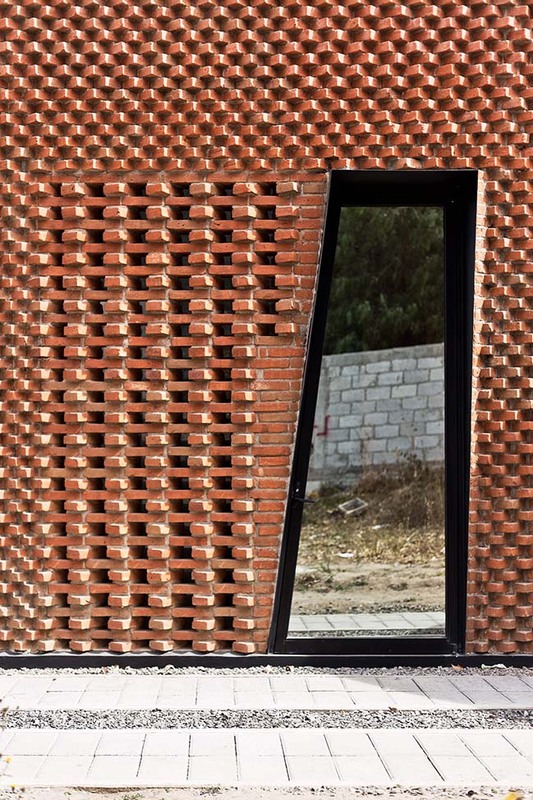 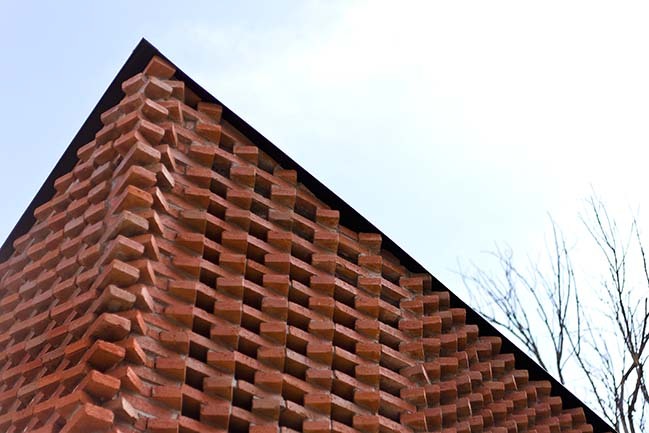 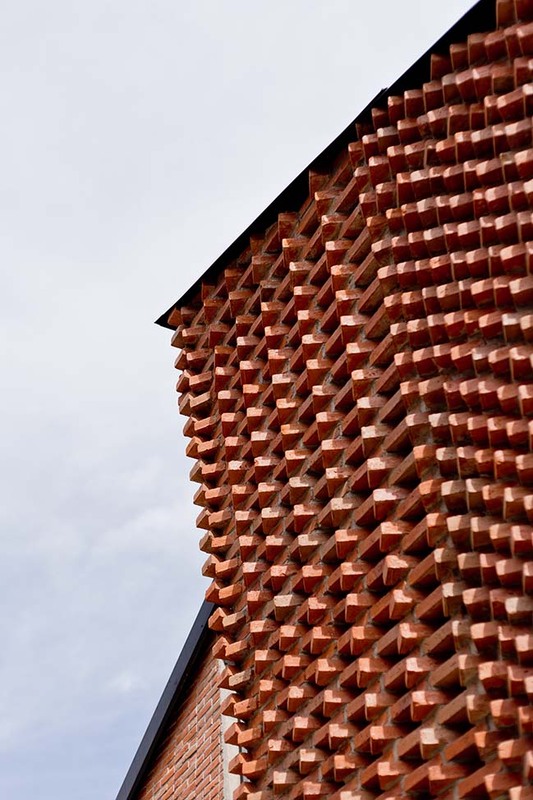 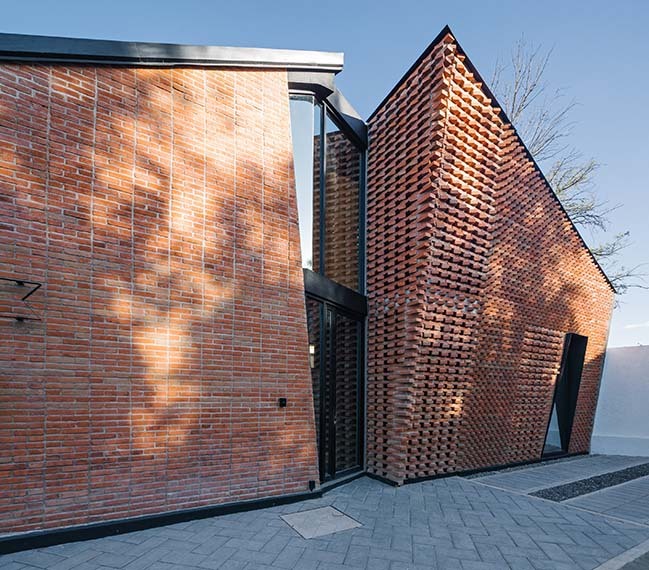 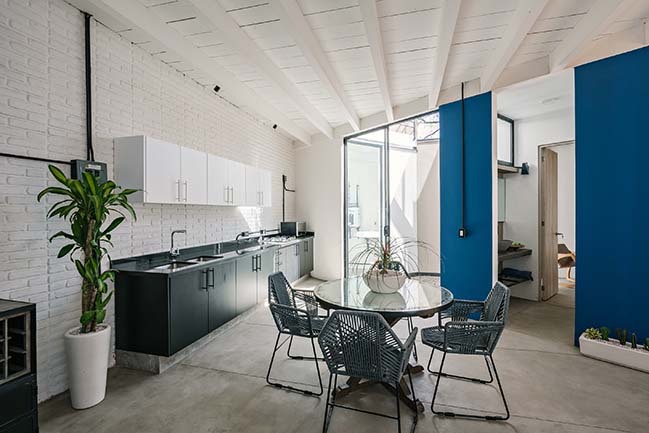 This residence integrates regional materiality elements like the red brick due to the closeness of the local brick producers in San Pedro Cholula. 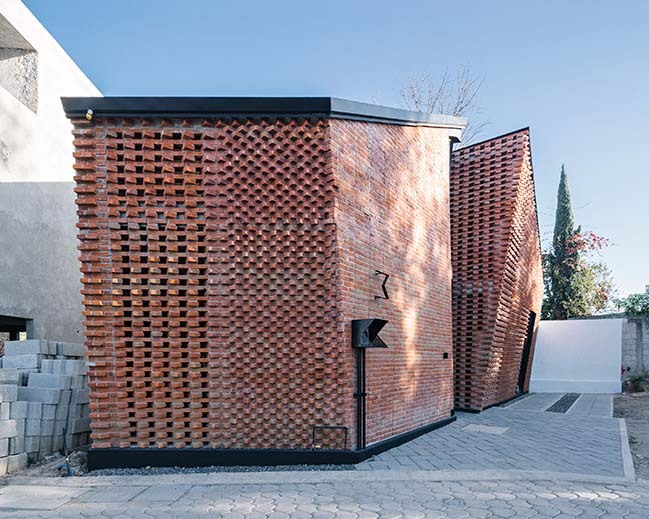 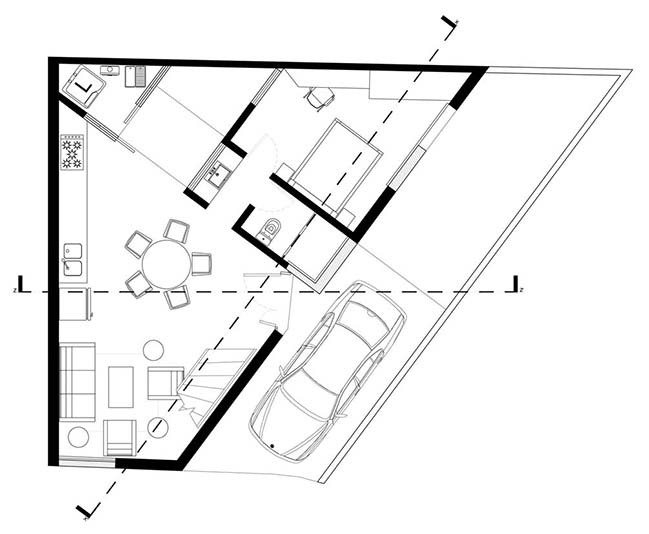 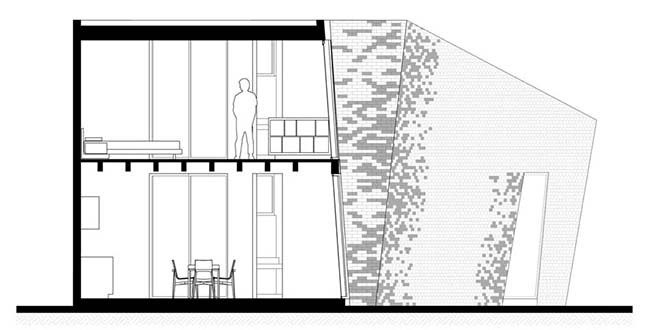 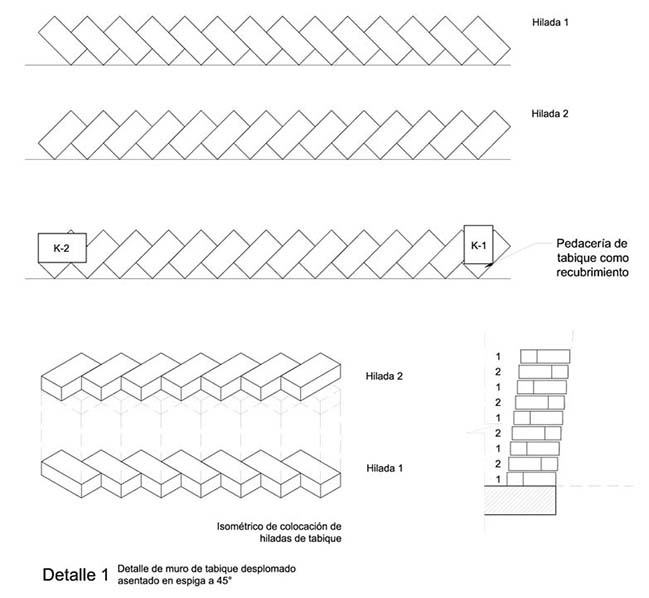 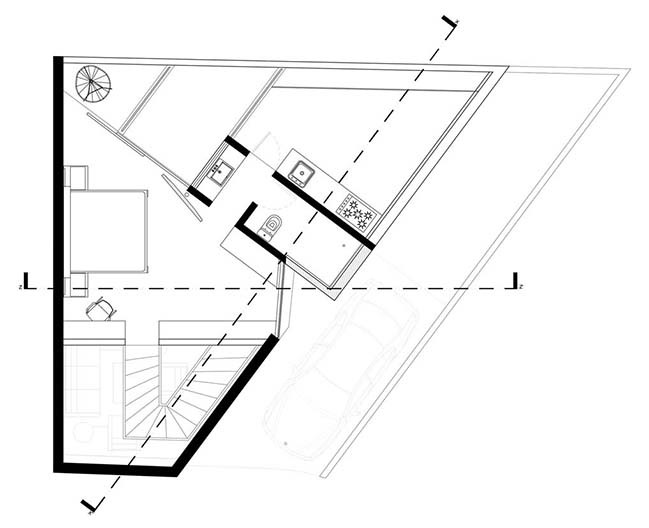 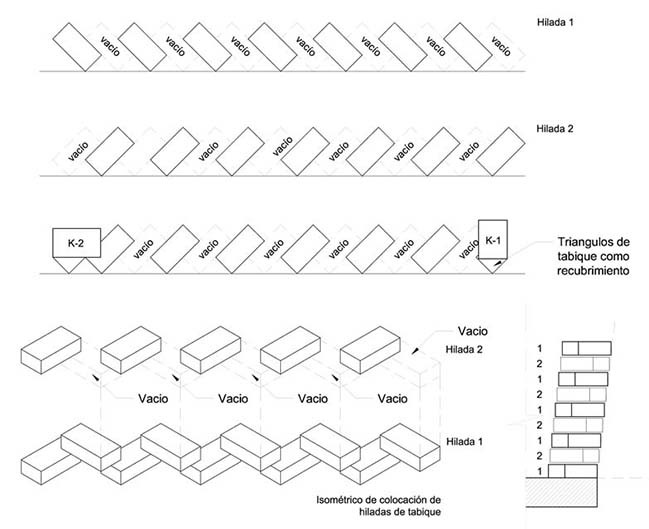 From the architect: The material is arranged in an artisanal way, allowing expressive geometry due to the modular repetition. 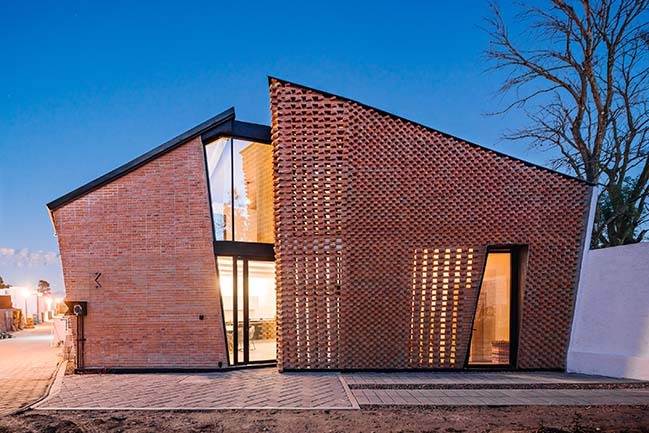 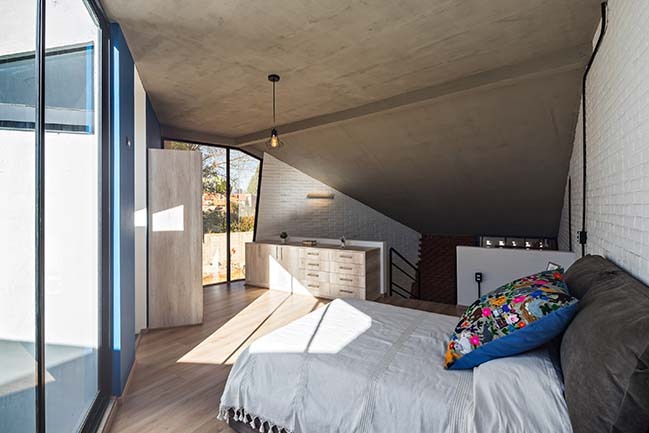 This introverted house incorporates natural lighting through the lattice and window openings defined by the interior programme and outside relevant views.